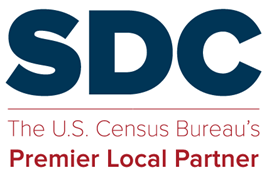 The SDC steering committee has submitted comments on the 2020 Census data collection plan, in response to last month’s Federal Register Notice. We identify issues related to Nonresponse Followup, Internet Self-Response, and Redistricting Data. Also we advise, again, that a citizenship self-response question is not the only available approach for obtaining citizen population counts — and that the proposed self-response question introduces unnecessary risks to 2020 Census’s validity. This entry was posted in Sharing and tagged 2020 Census, NRFU.